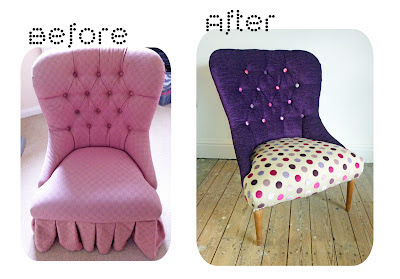 This was an old Laura Ashley bedroom chair that was looking a bit 90's and in need of some attention. 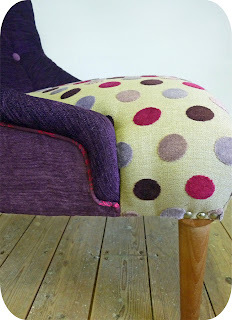 The old fabric was stripped off, and replaced with a beautiful pink chenille spot and purple velvet fabric. Each of the buttons on the back is a different fabric, the piping is patterned on the back and the silver show tacks add a modern finishing touch.